As fashion trends in the form of clothes, hair trends is one trend that also change in every year. Today’s hair is not just limited to hair, but also on hair color. For you who feel the present, changing the color of hair into colors is not something foreign anymore. 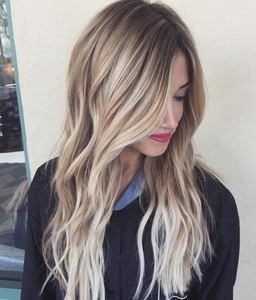 After the ombre trend and color platinum blonde ended, now appears some new hair color paint that can makeover your appearance so very different. Hair color trends in the present one of them is rose gold color. This color not only can you find on clothes or other accessories. Apparently rose gold color now plague up to the color of hair dye. Rose gold is dominated by gold color with pink pastel accents that glistening, so this color gives the impression of feminine as well as luxurious. No wonder that many Hollywood artists are beginning to change hair color to rose gold. The next hair color chart is also the current trend is chocolate mauve. The combination of brown with mauve or pale purple color can give a unique result but still calm. This mauve brown color can be obtained more perfect if you have light blonde hair color. The next hair color trends are orange. The orange hair is quite unique. But it turns out blonde hair color and orange mixture is favored by many women and again viral in social media. You also do not need to worry, because this hair color is suitable for all skin tones. Along with these hair color trends, tips to note is the brand and hair dye used. Choose and use a good and healthy hair dye, and that has been tested in real terms in many countries.